Quite bizarrely, Buhari has given the military a deadline to defeat Boko Haram by the end of the year. In truth, 'defeat' in an absolute sense is prospectively bleak, if not unachievable in the medium term. Nigerian President Buhari addresses reporters in the US (photo: State Department). Emmanuel Akinwotu is a freelance journalist and PS21 contributor. He tweets: @ea_akin. It is too early to define President Buhari’s presidency. The first 100 days have been illusory; he has made sweeping changes in military personnel and laid the groundwork for the restructuring of the massively bureaucratic and shady petroleum sector. But on Boko Haram–what will be the central issue of his term–progress has been predictably difficult. Attacks by the Islamist insurgency have increased. Buhari’s decision to move the military HQ to Maiduguri in Borno, right in the heart of the conflict, makes strategic sense but has yet to yield perceivable change. Quite bizarrely, Buhari has given the military a deadline to defeat the group by the end of the year. In truth, ‘defeat’ in an absolute sense is prospectively bleak, if not unachievable in the medium term. But significantly weakening their capability is more than plausible. Yet this is yet to materialise, despite his considerable and much-needed diplomatic efforts to tighten cooperation with Nigeria’s bordering neighbours, who, to lesser extents, are grappling with the group’s threat. Nigeria’s alliances under Goodluck Jonathan were ineffectual and passive. Relations under Buhari, with Chad, Cameroon and Niger are markedly more proactive.The joint military operation between the countries could be yet more effective but is now underway. An inquiry into the murky finances of the Defence budget has also been set up. Accusations and press leaks that military equipment was inadequate and hampering its chances against Boko Haram were damaging to the previous administration. Again, Buhari seems to be addressing the problem at the root. His first three months have seen several inquiries and bodies set up to investigate federal departments and national problems. Appointments have been slow, but, where they occur, sweeping. The entire board of the NNPC, Nigeria’s petroleum company, were resigned sporadically. Likewise, several military figures have been replaced. 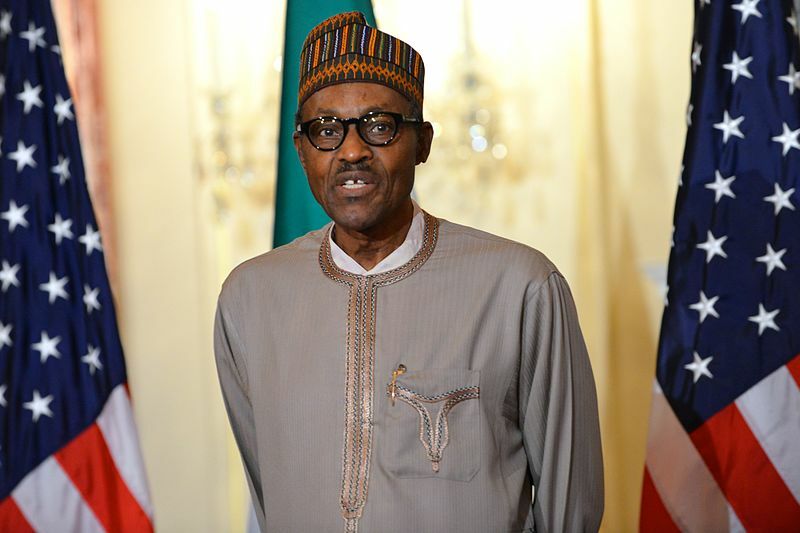 Broadly, in Nigeria, these sweeping sackings play out well politically for Buhari. He is the strong man “getting things done”. They illustrate conviction and decisiveness, characteristics central to Buhari’s win in the elections in May. However, even if the changes are welcome, the expectations he stoked in the election campaign–that Boko Haram would not be the same threat under his leadership–leave him little time. The internal workings of the fight against Boko Haram may be more concise and organised, but the bombs and deaths mount on. The sense that a concerted anti-corruption drive is needed is prevalent in Nigeria. Buhari’s cabinet remains unannounced, but the lack of speed has been explicable if not ideal. The presidency is at pains to appoint ministers who will not be implicated in corruption probes. Dishearteningly, that sharply diminishes Buhari’s options. The economy remains in a poor state. GDP has fallen to 2.6% as the effect of the election postponement and the fall in oil price kicks in. The naira has lost 15% in the last year. The Central Bank has taken frantic steps to avert the slide but the naira has only weakened further. The lack of a finance minister or clear fiscal policy from the government is having adverse consequences. 100 days in, it remains to be seen whether Buhari has a clear plan for the economy. Yet classically for Nigeria, on the other side of the numerous economic problems is an ever-growing economic potential. Despite struggling infrastructure, more and more multinationals are biting the bullet on the downsides due to the sheer commercial gains of investing in a country as populous as Nigeria. A young and vastly growing population will present more challenges but also opportunities. Buhari’s government must navigate those. It may yet do so better than previous governments but there are few encouraging signs. Ultimately, amidst several huge challenges ahead, it is on security that the previous government was spectacularly defeated and on which this government will likely be defined. PS21 is a nonpartisan, non-ideological, non-governmental organization. All views expressed are the author’s own.